On this page are links to related sites. If you notice any broken links, please let me know. Also let me know about your own favorite sites! ~ The official site of the man himself! Ron Dante Online. 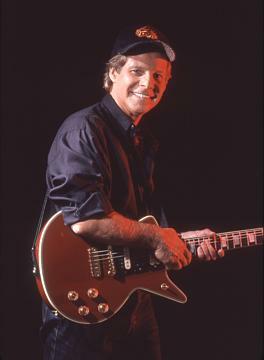 Ron's site includes a photo gallery as well as lots of audio and video downloads. Frequently updated with Ron's concert itinerary right on the homepage. One of the best artist sites on the Web. Click on the pic! Ron Dante's official Facebook Page - stop by and give him a Like! And while you're at it - check out Ron's MySpace profile page, too, and if you're a member, feel free to add him as a friend. Ron now has an official mailing list. Click on the pic to visit the mailing list 'companion' site, Ron Dante of The Archies, where you'll find a sign-up box to subscribe. Be among the first to learn of Ron's latest projects, CD releases, concert itinerary and more. Also featured on this site is a cool merchandise page where you can purchase items personally autographed by Ron. Check out the official Ron Dante Yahoo Group! Jeff Barry: The Man and His Music - the official fan site. Includes career chronology, bio, and a message board where you can leave questions or comments for Jeff! Donna Marie Fan Page - The lovely gal with the lovely voice who sings lead along with Ron on "Who's Your Baby" and "Together We Two." Includes message board. 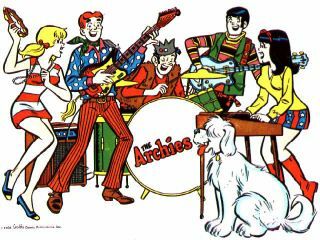 Songs by the Archies - List of songs and CDs by the Archies with links to song clips. Songs by the Detergents - List of songs and CDs by the Detergents with links to song clips. Songs by the Cuff Links - List of songs and CDs by the Cufflinks with links to song clips. ~ Longtime Ron and Archies fan Bob Morris (a/k/a Windsor Bear) from, where else, Windsor, Virginia, has his very own Archies site complete with discography, message board, and lots of other stuff. As with Ron's Yahoo group, you will need a Yahoo I.D. to access Bob's Archies board, but once in, you'll find a real friendly group of folks! Fan and friend Hiroshi Asada has a comprehensive RD fan page with pix and a discography. Click on Ron's pic on the right to check it out! ~Here are links to a couple of "external" sites which have communities for Ron Dante. Check them out ... here's a good way to hook up with other RD fans! ~ The Ron Dante and Archies boards at iMusic. Once Ron's own site and its dedicated message board took off, these weren't used as regularly, but new people still occasionally post here, and it's fun to go back once in awhile and re-visit the older messages. For more external links to Dante-ful web pages, check out the DanteNet page on this site!